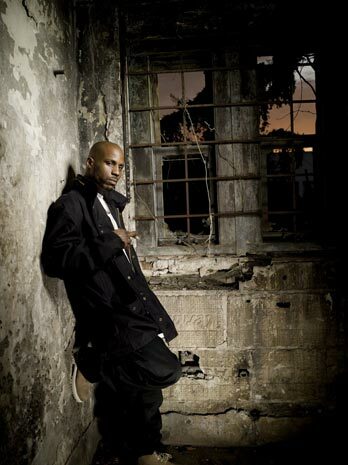 WHAT'S NEW FOR DARK MAN X (DMX)?? (NewsUSA) – The Dog is back and is in the house. And while his newest (and much anticipated) album has yet to drop, DMX is giving his fans a taste of what’s to come by releasing “The Weigh In,” — a free EP online download. Over the years, however, the New York-born rap artist has spent more time in and out of jail and battling drug problems than he has on a stage or in a studio. Fast-forward to present day, and it appears that the Dog is more interested in his music than his legal woes and may be on the road to redemption. He recently told MTV News that it’s time to be professional for the sake of his career. The trouble he is referring to is the merry-go-round of facilities he has been a guest of since 2000, including a recent arrest last year for speeding and driving with a suspended license. Prior to that, he found trouble in Arizona in November 2010 on charges of violating his probation. X has said of his new EP that it is an “appetizer” for fans and a prelude to the “main course,” that being, his new album, “Undisputed,” slated for release Sept. 11, 2012. And as if fans needed any prompting to download the EP for any other reason than X himself, both Snoop Dogg and Tyrese are featured on the recent release as well. Whether this new attitude is pure spin or actual desire on X’s part to remain on the straight and narrow, remains to be seen, but one thing seems certain — that fans are willing to forgive anything simply because he of who he is. Has Ocho Cinco hit rock bottom?? expected to air their new VH1 show soon, camera were rolling!!! CAN I GET SOME TARTAR WITH THAT BOTTLE SERVICE?? Hip Hop mogul, Jay- Z is suing Head Chef, Mike Shand, ot the 40/40 Club in Manhattan for loss in revenue and "good will". Jay- Z is citing the chef failed to elevate the menu for the newly renovatied club. CLUTCH YOUR PEARLS AND YOUR HANDBAGS, LINDSAY "STICKY FINGERS" LOHAN MAY BE AT IT AGAIN!! WHEN RIH- RIH SAT AN TALKED WITH OPRAH, SHE BECAME EMOTIONAL AS SHE SPOKE ABOUT CHRIS BEING "THE LOVE OF HER LIFE" AND THE ABUSE SHE ENDURED 3 YEARS AGO. EVELYN LOZADA MADE IT TO THE OWN NETWORK, DID YOU SEE THIS COMING? I KNOW YOU DID! THE OPRAH SHOW MAY NOT BE ON AIR ANYMORE, BUT THAT DOESNT MEAN O CAN'T STILL PULL INTERVIEWS!! OPRAH RECENTLY SAT DOWN WITH RIHANNA WHERE RHI-RHI GAVE UP THE REAL ON THE STATE OF HER AND CHRIS BROWN. IT SEEMS THAT OPARH HAS DONE IT AGAIN, EVELYN LOZADA WILL TOO APPEAR ON THE "OWN" NETWORK, BUT MRS. CHAD JOHNSON WILL BE SITTING DOWN TO CHAT WITH NONE OTHER THAT IYANLA VANZANT. FOR THOSE OF YOU THAT MAY NOT REMEMBER, IYANLA WAS A LIFE COAH THAT WAS FIRST FEATURED YEARS AGO ON SEGMENTS AND SPECIALS ON THE OPRAH SHOW. NOW IYANLA VANZANT HAS HER OWN SHOW NAMED "FIX MY LIFE"
SHARE THE TASTY TUESDAY SHOW WITH FRIENDS AND EARN A CHANCE TO WIN A FREE TASTY TUESDAY TALK SHOW T-SHIRT!!! THE FIRST TWO PEOPLE THAT REFERS 5 NEW LISTENERS TO THE TASTY TUESDAY SHOW WILL WIN A FREE T-SHIRT !! THE NEW FOLLOWERS MUST BE FOLLOWING THE SHOW ON http://www.blogtalkradio.com/THETASTYTUESDAYSHOW. CLICK THE "FOLLOW" BUTTON ON THE SHOW PAGE AND THAT WILL BE STEP 1. THEY ALSO MUST BE A MEMBER HERE, ON THE TASTY TUESDAY OFFICIAL WEBSITE . USE THE SIGN UP WIDGET ON THE "MEMBERS" PAGE AND COMPLETE THE INFORMATION TO JOIN THE SITE. THAT IS STEP 2. EMAIL ME AT THETASTYTUESDAYSHOW@GMAIL.COM , LETTING ME KNOW YOU GOT YOUR 5 NEW LISENERS AND THAT IS STEP 3., YOUR ON YOUR WAY GOOD LUCK !! !